"Ride Guide" is a mountain travel TV series, where the hosts and guest pros, share their travels of skiing, snowboarding and mountain biking from locations throughout the world. 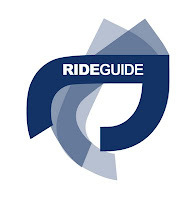 "Ride Guide" is distributed into 60 million homes in 60 countries worldwide. Throughout Canada, Ride Guide airs on OLN, Rush HD, Shaw Video On Demand, Rogers On Demand, and Men TV. "Ride Guide" can be seen in 20 million homes across the USA on The Ski Channel. Ride Guide is broadcast into 55 countries throughout Europe on The Extreme Sports Channel and into 1 million homes in Australia on Fuel TV. Ride Guide is also distributed on-line through Dose.Ca, BikeMag.Com, and Norco.Com. We'd like to share a few clips from their Vermont edition with you. 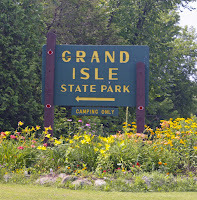 Have you ever wondered who cares for all the plants in Grand Isle State Park? Or even where they all came from? Maybe you are just interested in flower gardens no matter where they are. Click below to read Doris Sless' story of Grand Isle's flower gardens and one woman who tends them. Last summer Gary and I camped in Grand Isle State Park, outside of Burlington, Vermont. After setting up camp we walked around the grounds, noticing many beautiful flowers in the woods. I have never seen such beauty in a campground. Within a day I spotted a woman on hands and knees, tending to a group of native flowers. I figured she was the person responsible for all this natural beauty, so started a conversation with her. I was very impressed by her dedication, showing what one person and a love of nature can do. In an effort to make it easier for you to "visit" some of the features of our state parks, we've put Burton Island's North Shore Nature Trail on-line, complete with color pictures and text from the brochure.